Best Free Children Store WooCommerce WordPress theme builds with Genesis Framework, shopping cart supported by WooCommerce 3.x, Responsive Layout, Easy to Customize! This Children Store WooCommerce WordPress theme desinged to a more modern, convenient version with a fresh and playful style using bright-colors, different sections with creative ideas which makes it suitable for applying to promote and showcase your stores. 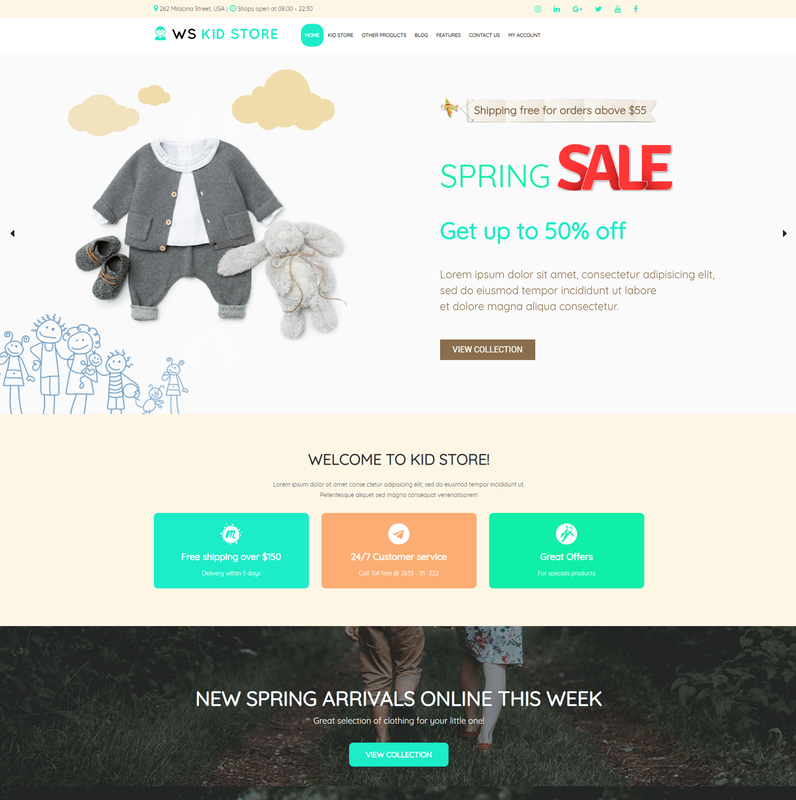 WS Kid is Free WooCommerce WordPress theme which beautifully tailored for adorable kid’s fashion, accessories, presents… and more. It appropriates for selling clothes, dresses and items such as gloves, beanies, caps or any kind of product you want, also, full detail information from price to styles for each product provided in an eye catching way. 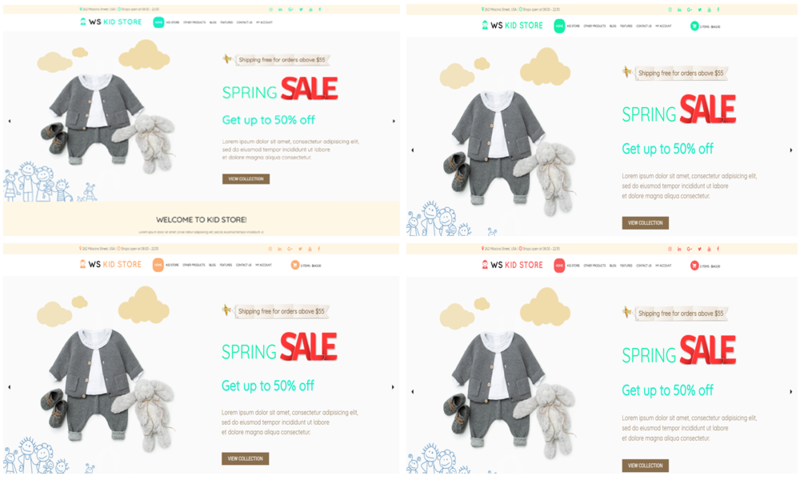 WS Kid also integrates online ordering system for giving your customers best online shopping experience when visiting your site. 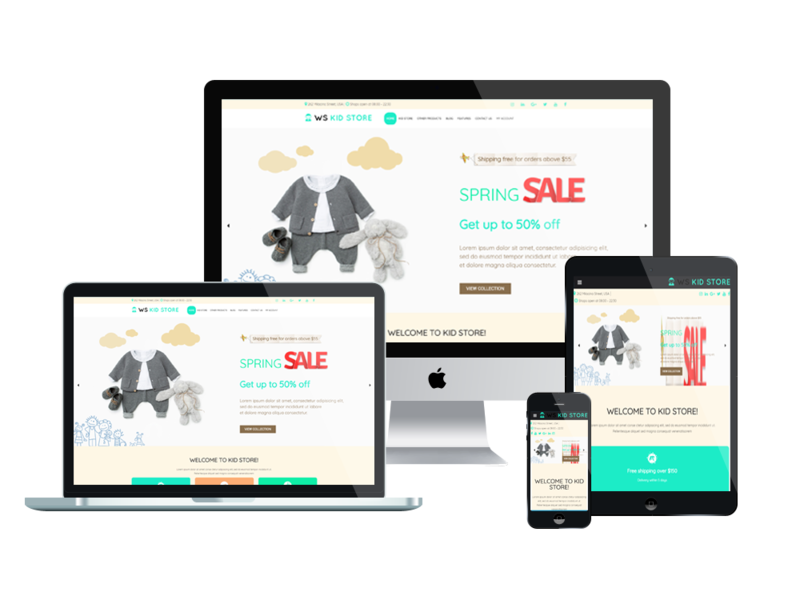 You will not have to worry about what if customers access to your site by mobile phones, because this theme displays very well on all kinds of mobile devices with 100% responsive layout, clean and stylish. Based on powerful Genesis framework with fully bootstrap supporting elegant page builder and easy to drag-drop layout content, as well as unlimited color and a color picker in the admin panel, all the features WS Kid contains helps you find it easy to build website as the way you want. Now it’s time to change your site’s old clothes!